This page is for the GoldSrc remake. 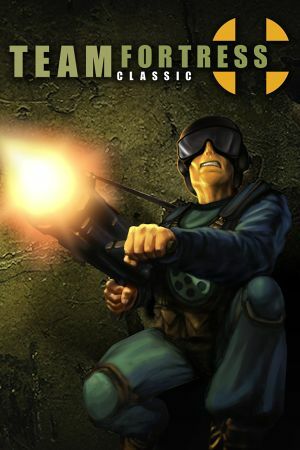 For the original Quake mod, see Team Fortress. Disconnected from servers with the message: "You have been disconnected from the server. Reason: Bad file Server is enforcing file consistency for models/w_grenade.mdl"
Click Options, then the Video tab, then uncheck Enable HD models if available. For your own servers, you can allow these models along with custom models by using the command mp_consistency "0". Only with OpenGL renderer. Different renderer will cause game crash. Use cvar gl_aniso to configure. Restart required. 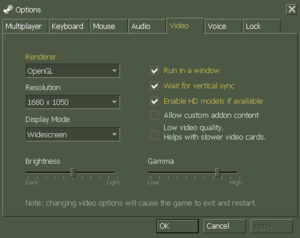 The fov is not automatically adjusted when the 'Display Mode' is changed to 'Widescreen'. While in game, push ~ to open the developer console. Type cl_fov (value) and press ↵ Enter. 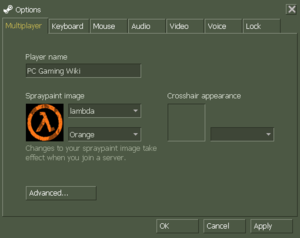 Open config.cfg located in Sierra\Half-Life\Valve\. Add the following to the bottom of it. If the new fov doesn't stick try creating an autoexec.cfg-file in the same folder and adding the line to it. Increasing the FPS is necessary to make the game seem less choppy without vsync enabled. Type developer 1 and press ↵ Enter. 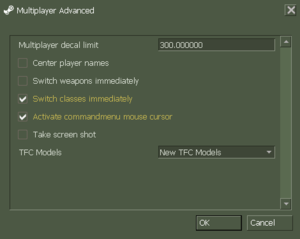 This enables developer mode, going past the video standards of when TFC was first released. Type fps_override 1 and press ↵ Enter. This enables entering in FPS levels higher than 100. Finally type fps_max 200 and press ↵ Enter. Setting to 200 is recommended, higher values will feel floaty. Open autoexec.cfg in the installation folder. 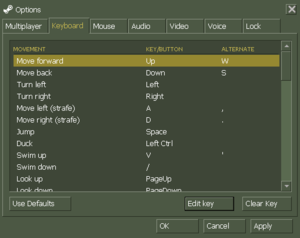 In-game support only allows for single-joystick interaction, and buttons must be bound via console commands. Can only be done via the bind command in the console. 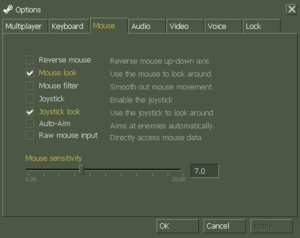 Enable option "Reverse mouse" to invert Joystick Y-axis. Open the console (~) and use connect [IP address here]. WON, Steamworks WON for retail version, Steamworks for Steam version. 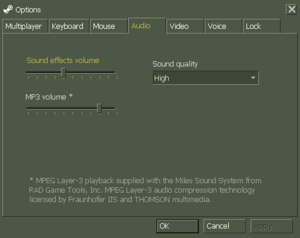 ↑ Steam HL1 5.1 sound - Steam discussions forums. This page was last edited on 23 October 2018, at 11:52.